You know you’re going to see something really top secret when you can’t take your phone into a meeting with you. This makes me both really happy to be part of something exclusive, but also, frustrated because, you know, my phone! 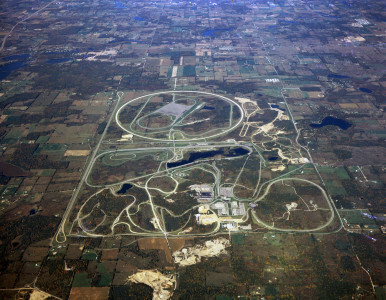 Well, to be more accurate, it was just my phone’s camera that was forbidden when recently I toured the General Motors research center and proving grounds (where cars are tested) in Michigan. The GM press team put special tape over our phone’s cameras so we couldn’t snap photos of what they were about to show us, and then led us on to see amazing things and meet some incredible people, mostly women. GM is in a precarious position: In the middle of remaking the company—a profound, important and defining moment—General Motors Company has faced the largest number of recalls in any car manufacturer’s history. What does that mean, for the company and for people who buy their cars? And, what have they learned from the last few years? That’s what I was there to see. You probably heard that when Mary Barra was made CEO of GM, she became the first woman to lead a major car company. But this wasn’t just a publicity stunt. The population of women at General Motors has grown over the years, and Mary Barra is representative of that: she worked her way up through the ranks, and was both qualified and deserving of the CEO title. She may be the first woman at the helm, but she won’t be the last. GM has worked hard behind the scenes to help build a diverse workforce—women and minorities in key roles such as leadership, engineering and technology. But women as leaders bring a significant strength to GM, too. 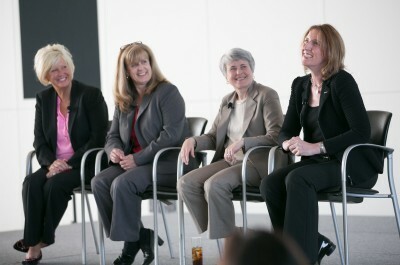 “Women have a collaborative approach,”said Sipes. “Women bring more to the table initially to drive change, to get the workforce engaged; women have good skills in that area,”and it’s important to GM’s future. Women were key to the collaborative nature of the new GM culture. “It’s important to grow, change, develop and adapt; to learn something all the time,”said Diana Tremblay, VP Global Business Services. Because Women Buy Cars. A LOT of Cars. More Cars Than Men! 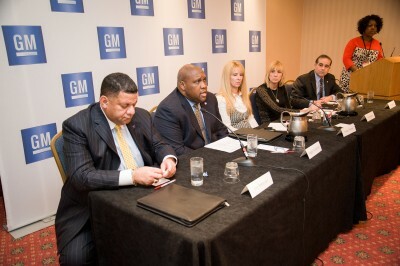 That change and growth comes out of diversity, which is critical, because GM’s customers are diverse, too. “We reflect the face of our customer,”said Sipes, echoing Mary Barra’s leadership strategy for GM: The customer is the compass. To understand the customer, GM does a lot of research, but the quest goes beyond the research to a partnership with Stanford University to understand what consumers will want — what they will need and how will it serve autos, electronics and the marketplace. How does GM know who you are and what you might want in a car? During our tour of General Motors we got to spend time with Heather Lanzi of the Global Market Research team and she shared some of her insights. Read about that here. 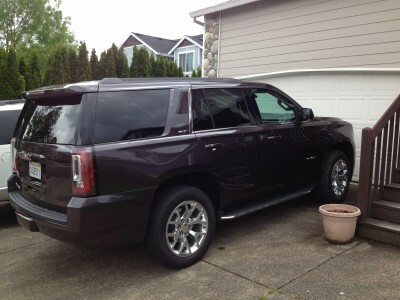 The GMC Yukon provides safety, function and style for women drivers. That is the story of cars these days: They are sophisticated networks of super-intelligent systems made up of dozens of computers and thousands of parts that do everything from anticipate what the car ahead of you will do to make dinner reservations. The series of General Motor recalls belie the incredible amount of research, development and testing that goes into every element of each car GM builds. Our General Motors tour took us through that process, from developing ways to use lightweight aluminum instead of steel to pioneering new crash test dummies that ensure we are safe in the event of an accident. It used to be that when a lot of people had accidents and a flaw in a part was discovered, a recall was issued. But with information coming at car makers from many sources—their own research and development, dealers and mechanics, customer complaints and government regulators—car makers can recall a part or system before anyone gets hurt and proactively fix an issue before it becomes a problem. Whenever you have your car serviced, be sure to ask if the shop ran a recall check; they can do this easily and ensure that your car is up to date. If you are curious about your car, or other component such as tires or child car seats, you can find out about recalls here. Disclosure: I was General Motor’s guest at its campus and proving grounds for this story; the company accommodated my travel, but I was not compensated by GM for this story. « 2014 Ford Focus: The Perfect Teen Car?